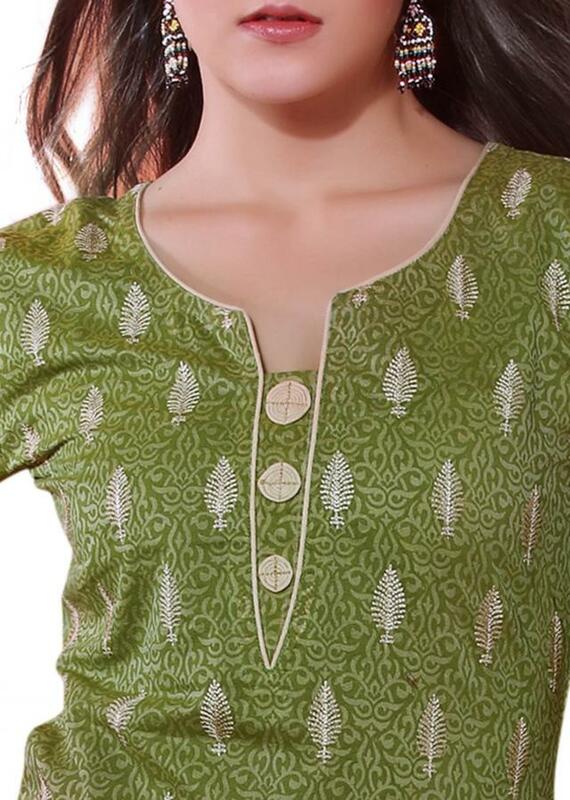 Unstitched suit featuring in green silk. Its enhanced in self print and embroidered butti in thread. Bottom fabric is in grey cotton and dupatta in cream silk with gold and white print.